NAP stand for Name, Address, Phone. Since so many people are using Google as the modern day Yellowpages, Google wants to ensure that the information in the SERPs (search results pages) are consistent and accurate. This means that all of the other directories around the web: Bing Local, Yelp, Manta, Yellowpages.com etc all have the same information about your business NAP. If you move or get a new phone number, Google expects you to update all your directory listings to ensure users are finding the correct business. This makes sense both from a user perspective and a business perspective as Google’s job in local listings is to connect users with the businesses around them. Reviews are a critical factor in determining local placement because it is social proof that your business is engaging it’s consumers/clients and ensuring a good experience. Google reviews have a two fold benefit. One, they give your business social proof that others are using your product/service and are having a good customer experience (assuming that you are getting good reviews, and yes you should be getting good reviews). If all else is equal in the local listings and one company has ten 5 star reviews vs another company who has one or two 4 star reviews, which one are you most likely to click on or call or go to their website? Two, the reviews and quality of the reviews play an important factor in your Google local ranking (and even in your organic ranking as well because google uses brand reputation as a determining factor in it’s organic results). Behavior signals are just what they sound like: signals that Google measures as users interact (or behave) with your local listing. One major behavior signal is click through rate (CTR) or your local listing. Obviously having a Google+ page is an important factor in CTR (and yes you can show up in local listings without a Google+ page, but it’s not recommended) since you can define your industry category, put your hours of operation, put your website and phone number and did I mention the importance of Google plus reviews? Behavioral click through rate just increased the importance of being in the first three positions in the listings since it just became a positive feedback loop in the local algorithm. Think about it, if only the first three positions are shown (as opposed to seven) which listings are naturally going to get more CTR? When they do get a higher CTR they will maintain their position because of the user behavioral signals factor. Google does play around with moving other companies into the first three local listings to see if they are getting a higher CTR, but they don’t do it very often and in most cases the search volume for a local product/service is not high enough to get enough feedback on behavioral signals. 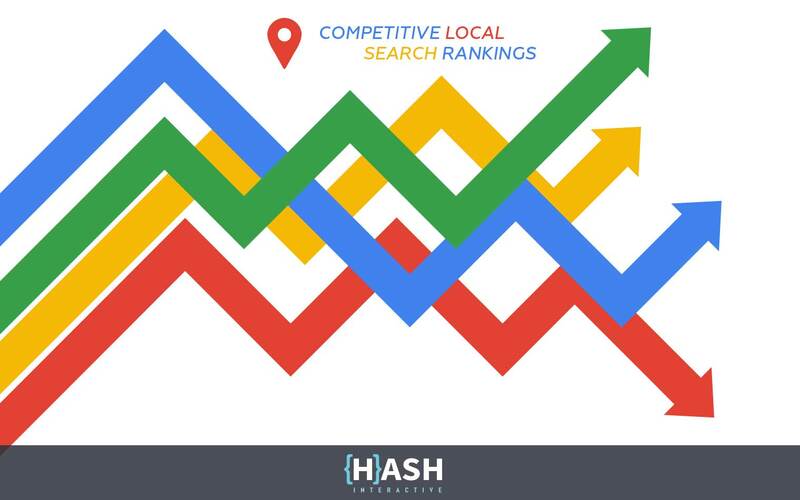 There are a lot of other factors that play into the local search algorithm but these are a few important metrics that help determine local rankings. It takes quite a bit of time and resources to keep your position in both organic and local listings, not to mention the algorithms and ranking factors continually change. Considering there are over 70,000 searches per second in Google, your investment in local and organic rankings is well worth your time and money.